Choking. You don’t know how scary it is until you’ve experienced it yourself. 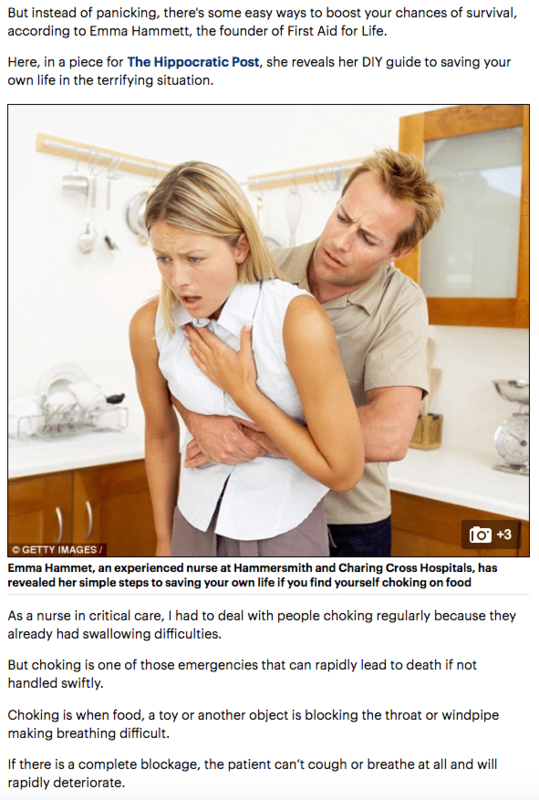 Running around gasping for breath, there’s just moments before your inability to take a breath will kill you.But instead of panicking, there’s some easy ways to boost your chances of survival, according to Emma Hammett, the founder of First Aid for Life. 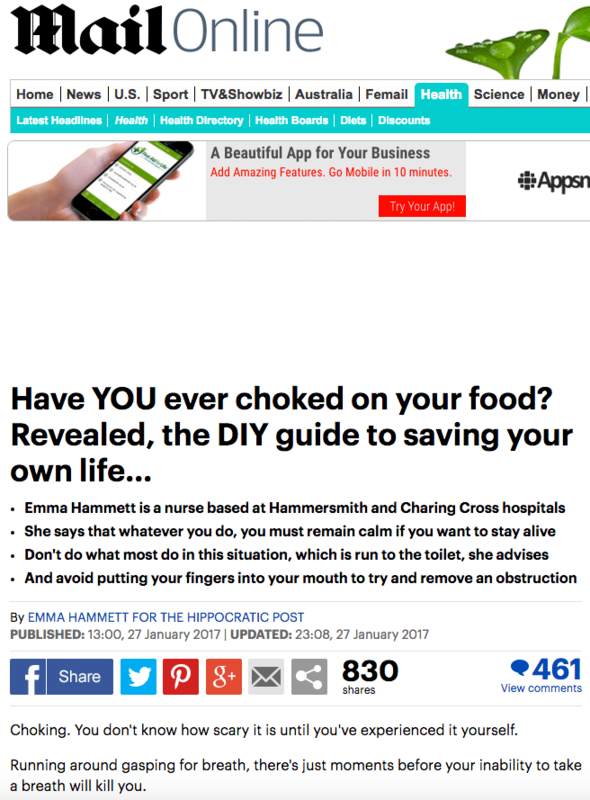 Here, in a piece for The Hippocratic Post, she reveals her DIY guide to saving your own life in the terrifying situation.